#Padmaavat is ROCK-STEADY... [Week 2] Fri 10 cr, Sat 16 cr, Sun 20 cr, Mon 7 cr. Total: 219.50 cr. India biz. SUPER-HIT. 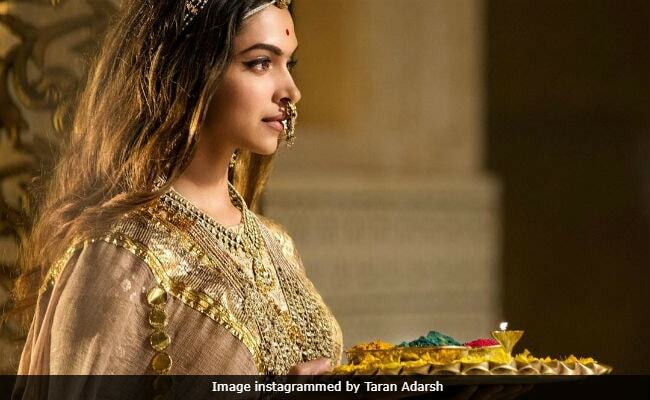 Trade analyst Taran Adarsh earlier reported that "Padmaavat", in its opening weekend, crossed the business of films like Dilwale, Sultan, Tiger Zinda Hai and Bajrangi Bhaijaan. (The last three films star Salman Khan). Also, Mr Adarsh mentioned that "Padmaavat" has surpassed the collections of Deepika and Ranveer's 2013 film Bajirao Mastani, also directed by Sanjay Leela Bhansali.